Qualitative research design is a research method used extensively by scientists and researchers studying human behavior, opinions, themes and motivations. Qualitative research methods are probably the oldest of all scientific techniques, with the ancient Greek philosophers qualitatively observing the world around them and trying to understand and explain what they saw. While qualitative methods are sometimes assumed to be “easier” or less rigorous than quantitative ones, the fact is that information of this kind can provide a depth of understanding about phenomena that cannot be achieved in other ways. Quantitative and qualitative are, importantly, words to describe the kind of data gleaned from an experiment and not the phenomena themselves The kind of data we extract from an experiment depends on the experiment design and the parameters we as researchers set before beginning. Thus, external phenomena of the world are interpreted through a chosen experimental framework – whether this is quantitative or qualitative depends on the research question. For example, many cognitive psychologists are interested in the phenomenon of human intelligence. While some theorists have focused on "counting" IQ (a quantitative approach) others have concerned themselves with the nature of intelligence, the variation in cognitive processes, developmental patterns and the felt experience of various phenomenon related to IQ etc. (a qualitative approach). Quantitative data: Relating to quantities, amounts and measurements that can be expressed in numbers and manipulated statistically. For example, an IQ score of 120. Qualitative data: Concerned with the features, attributes and characteristics of phenomenon that can be interpreted thematically. For example, a claim that pilots demonstrate intelligence that is visual-spatial in nature rather than verbal. Qualitative research is often regarded as a precursor to quantitative research, in that it can generate leads and ideas which can be used to formulate a realistic and testable hypothesis. This hypothesis can then be comprehensively tested and mathematically analyzed, with standard quantitative research methods. For example, a designer generating some ideas for a new product logo might want to study people’s habits and preferences, to make sure that the new logo is commercially viable. A focus group can yield qualitative data about their opinions about the brand, for example, the researchers may find that people perceive particular images and colors as “trustworthy.” The researchers may then devise a questionnaire that asks people to rate potential logo designs on a scale of 1 to 10, with ten being the most “trustworthy.” The focus group is a common qualitative method, but the questionnaire is quantitative research, and the data yielded is analyzed statistically to find the best new logo. Qualitative methods are often closely associated with interviews, survey design techniques, focus groups and individual case studies. Quantitative methods usually entail formally designed experiments with control groups if appropriate and carefully controlled dependent and independent variables. 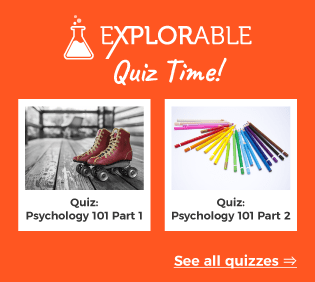 The design of qualitative research is probably the most flexible of the various experimental techniques, encompassing a variety of accepted methods and structures. Though there is no standardized structure, this type of study still needs to be carefully constructed and designed. Researchers need to continually ensure they are conducting bias-free, open-ended technique and staying alert to potential sources of error. This usually involves awareness of bias and deep sensitivity to the phenomenon in question. Qualitative techniques are extremely useful when a subject is too complex be encapsulated by a simple yes or no hypothesis. While quantitative data reveals simple linear relationships between discrete variables, qualitative techniques yield data that is richer and more insightful into underlying reasons and patterns within phenomena. Qualitative research is often more practicable when budgets are small and sample sizes are restricted. If a large number of participants cannot be secured for a quantitative study, the few available participants can be better understood with in-depth interviews. For example, if there are only three people in a town who qualify as subjects for a study, it might make more sense to conduct comprehensive interviews with them, i.e. opting for quality over quantity. Surveys can show that teen drug use rates are down, but only interviews with teens could reveal personal motivations and reasons behind why that is the case. A marketing group can see that people dislike their brand, but will need qualitative methods to understand in what way they dislike it. Researchers studying ADHD can measure the academic performance of those taking a new drug. But to understand the felt experience of those taking the medication, they will need to conduct open-ended interviews and case studies. The nature of qualitative research designs means that some useful data is always generated, whereas an unproved hypothesis in a quantitative experiment can mean that a lot of time has been wasted. In qualitative research, it is not a problem if the research develops in an unexpected direction. In fact, the researchers are usually pleased with whatever they discover, and deliberately try to avoid going in with any expectations. Finally, qualitative research methods are not as dependent upon sample sizes as quantitative methods; case studies, for example, can generate meaningful results with just a small sample group. Qualitative research experiments can be time- and resource-consuming compared to quantitative experiments. A researcher may need to be present for hundreds of grueling hour-long interviews, whereas a quantitative study using a questionnaire can be completed in an afternoon. Qualitative methods also require plenty of careful thought and planning throughout the study. Researchers have to be far more sensitive to ethical issues, bias and the philosophical underpinnings of their research question than those undertaking quantitative studies. Qualitative data cannot be mathematically analyzed in the same comprehensive way as quantitative results – in fact their analysis and interpretation can become arduous. Qualitative data is a lot more open to personal bias and judgment, and so care must be taken to present the final results appropriately: as observation and not proof. 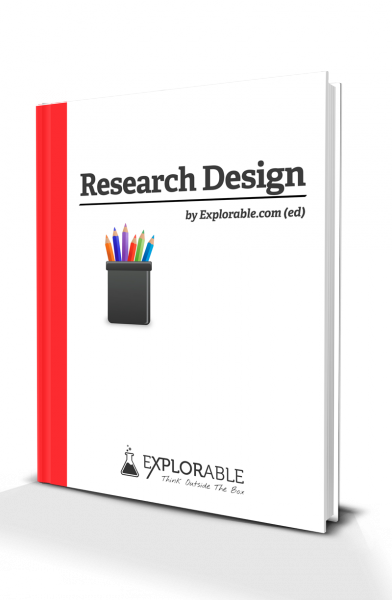 Lastly, qualitative research design is usually unique and cannot be exactly recreated, meaning that it does lack the ability to be replicated.